Political instability, conflicts and natural disasters have led Haiti to become the poorest country in the Western Hemisphere. From an auspicious beginning as the first independent nation in Latin America and the Caribbean in 1804, Haiti has been plagued by political violence and natural disasters in the 21st Century. A magnitude 7.0 earthquake hit the capital, Port-au-Prince, in January 2010, resulting in the deaths of between 46,000 and 316,000 people and 1.5 million left homeless. Médecins Sans Frontières/Doctors Without Borders (MSF) first worked in Haiti in 1991. Our work in the country focuses on providing responses to social violence, healthcare exclusion, endemic/epidemic diseases and natural disasters. In addition to its regular emergency response activities in Haiti, where quality healthcare is unaffordable for the majority, MSF has developed a range of free, specialised medical care at three hospitals in the capital, Port-au-Prince. Mother and her newborn baby at the MSF clinic in Haiti. 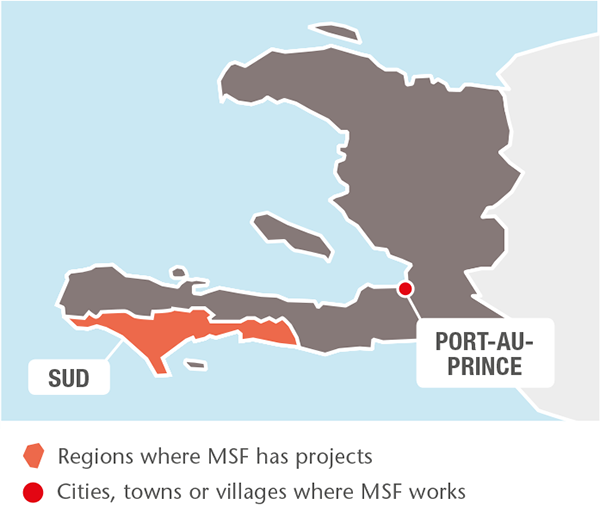 The specialised care MSF provides at the hospitals it manages in Port-au-Prince benefits people who would otherwise be unable to access this level of service. Drouillard centre, close to Cité Soleil slum, is the only specialised centre in the country to focus on the treatment of severe burns – a widespread problem mostly linked to the dire living conditions of destitute Haitians. Around half of its patients are children under the age of five who have been injured in domestic accidents. In 2017, the team conducted more than 1,300 emergency room visits and admitted almost 700 patients. 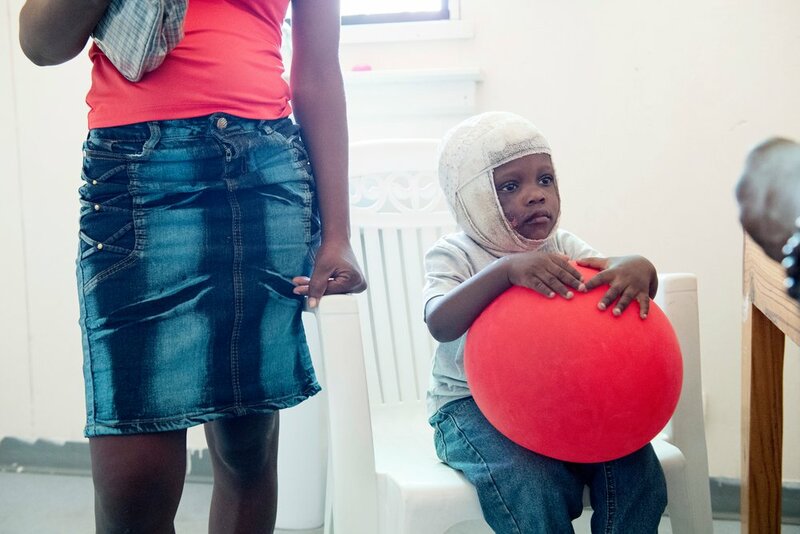 Bradley, a 3-year-old patient accompanied by his mother, at Drouillard Hospital. Treatment included surgery, dressings and pain management, as well as physiotherapy, psychological care and infection control. In one innovative technique, patients were treated with grafts of artificial skin. Most patients came from the Port-au-Prince area, but some were referred from other regions by air ambulance. MSF also trained medical staff and started constructing a new 40-bed hospital to replace the existing temporary facility in 2018. The 176-bed Centre de Référence d’Urgences Obstétricales (CRUO) cares for pregnant women who present with life-threatening complications such as pre-eclampsia, eclampsia, obstetric haemorrhage, obstructed labour or uterine rupture. It also cares for newborns requiring treatment for conditions such as low birthweight, difficulty breathing, or who need help feeding. In 2017, the teams assisted 4,864 births, including 1,870 caesarean sections. Mental health support and post-natal care was also provided. The Tabarre trauma hospital provides comprehensive treatment for victims of road accidents or gunshot wounds, including surgery and physiotherapy. In 2017, 6,539 surgical operations were performed. These three facilities, built in the aftermath of the devastating 2010 earthquake, are container-based hospitals designed for only temporary use. CRUO is scheduled to close its doors in 2018, and Tabarre, in mid-2019. Efforts have been made over the years to improve specialised care in the country by training local interns in relevant medical specialities. An alarmingly high number of young people in Haiti, especially women and girls, experience sexual and gender-based violence. Yet the services available are inadequate. In Port-au-Prince, where the number of victims is particularly high, MSF also manages Pran Men’m clinic, which provides them with medical care and psychological support. In 2017, more than 750 patients were treated in the clinic. In Martissant, the second-largest slum in the country, MSF manages an emergency healthcare centre which is open around the clock. In 2017, it provided 35,800 outpatient consultations and admitted more than 2,000 patients. MSF also organised water and sanitation activities in the slum to prevent the spread of cholera and eliminate Aedes mosquitoes, which carry the dengue, Zika and chikungunya viruses. MSF staff treat cholera patients in both Martissant and CRUO, and support the Ministry of Health with epidemiological surveillance. In the aftermath of Hurricane Matthew, a team also assisted with the second round of cholera vaccination in Port-à-Piment. MSF nurse treats a patient at a mobile clinic in the village of Nan Sevre, in the mountains north of Port-à-Piment. Port-à-Piment is the latest MSF project, located in the west of the country in a rural area that was severely affected by the hurricane. 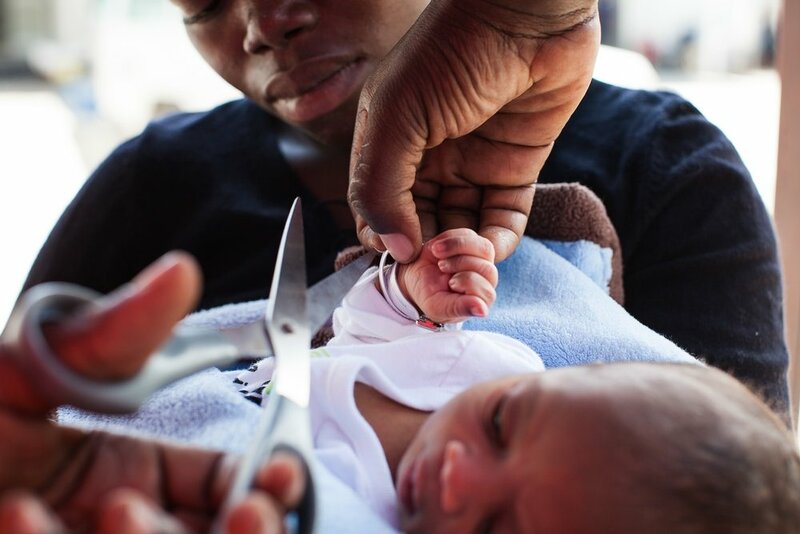 MSF supports the local healthcare centre, where it focuses mostly on maternal health; the number of births in the facility has quadrupled since the team started to support it.